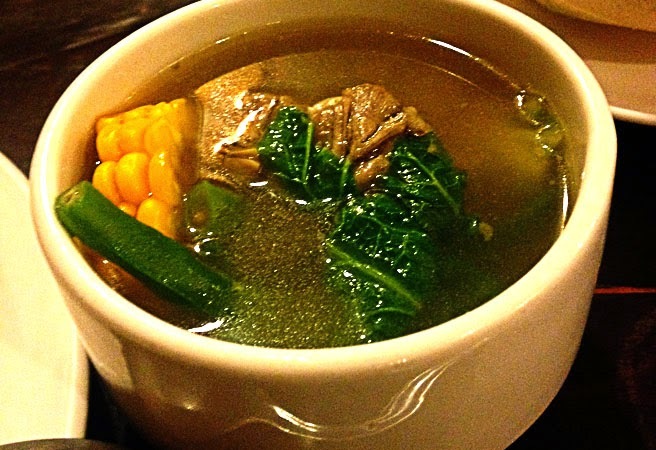 One thing that Filipinos really love is Food. Do you agree? That’s why for those who travel just like me; it’s the one thing that we look forward to when we visit different places. And recently, I had my vacation in Cebu which aside from their wonderful tourist spots, genuine people, I also keep coming back because of their great dishes. We all know that when people talk about famous Cebu foodstuff, one thing that pops to their mind is ‘Cebu Lechon’, am I right? 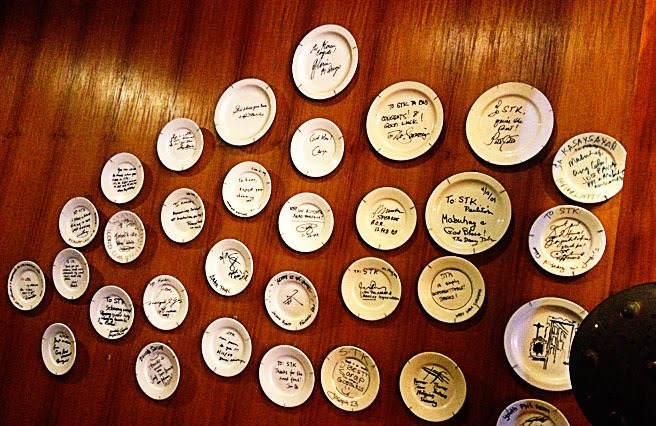 But aside from it, Cebu is also known for their seafood dishes which they have named it uniquely as ‘Sutukil’ or ‘STK’ that stands for SUgba, Tinola, and KILawin. I have been to Cebu three times already, and I have observed that most of their restaurants or eateries offer this kind of dishes. And from all the dishes that I have tasted, I think I have found already the perfect place to make our seafood cravings fulfilled. If you are from Cebu City or at Santo Nino de Cebu, travel time is just less than 30 minutes and fare is around PhP100. If you are from Mactan or from the Airport travel time is around 30 minutes and fare will be PhP150 more or less. If you are from Mactan or fresh from the Airport, you can ride a jeepney with a signboard Colon or Carbon. Fare would be PhP8. Then from there, look for a jeep going to Jones and tell the driver to drop you off at Cebu Doctors hospital. Fare would also be PhP8. Then walk along Hotel Asia and turn left at Orchid Street. If you are from Cebu City or at SM, look for a jeepney at the terminal going to Ayala. Fare would be PhP8. Then from there, look for a jeep going to Jones and tell the driver to drop you off at Cebu Doctors hospital. Fare would also be PhP8. Then walk along Hotel Asia and turn left at Orchid Street. 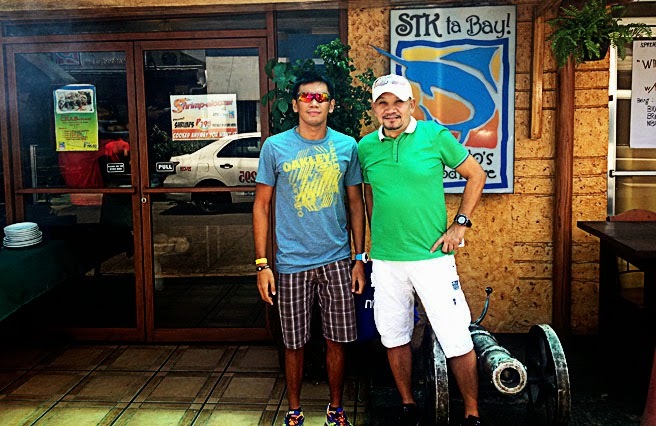 STK ta bay means something like ‘STK tayo pare!’ It started as a small eatery that served only few dishes. Now they offer more awesome deliciously Filipino foods. The place is actually an old house converted into a restaurant. 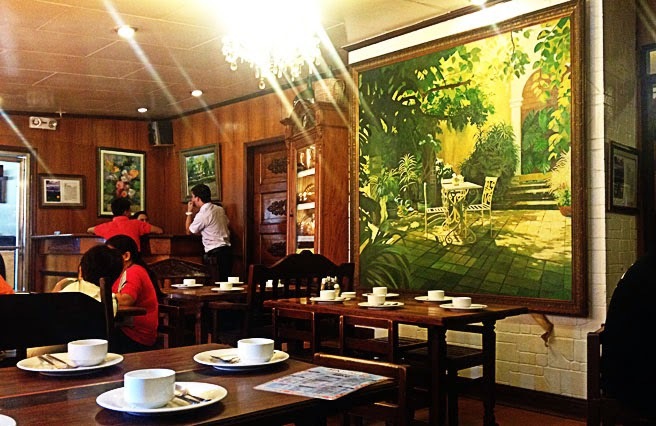 You will find the ambience as an old ancestral house. The interiors in every corner of the restaurant are classic designs from 50s and 60s. 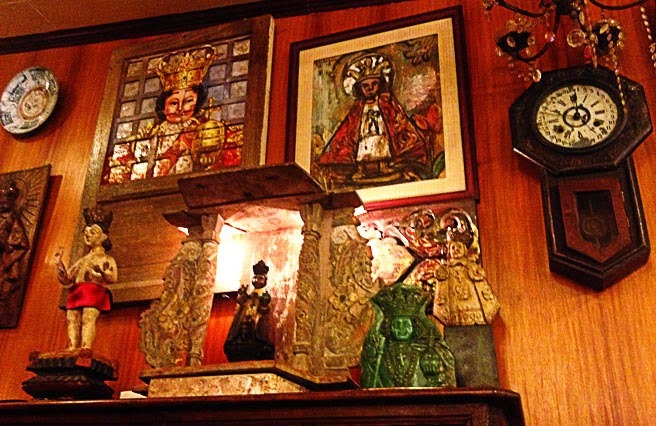 There are collections of antique furniture, religious icons, colonial items, and other interesting collections. We ordered Tuna Panga, Baked Scallops, Caldereta Kanding, Nilat-an na Baka, Sizzling Pork Sisig with Egg, and Squid with oyster sauce platter. Baked scallops were really tasty. 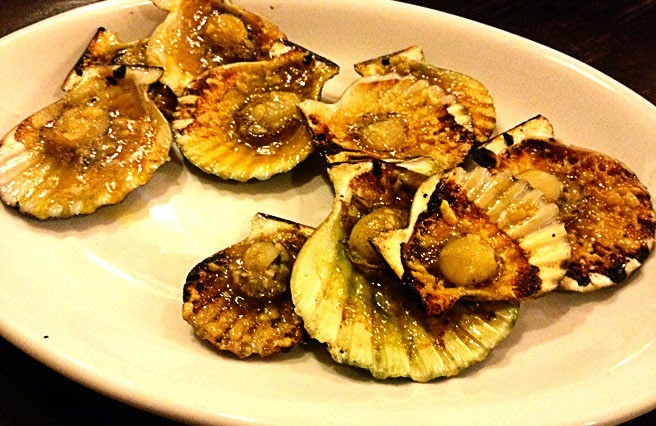 It was grilled with butter and garlic that made it taste better. 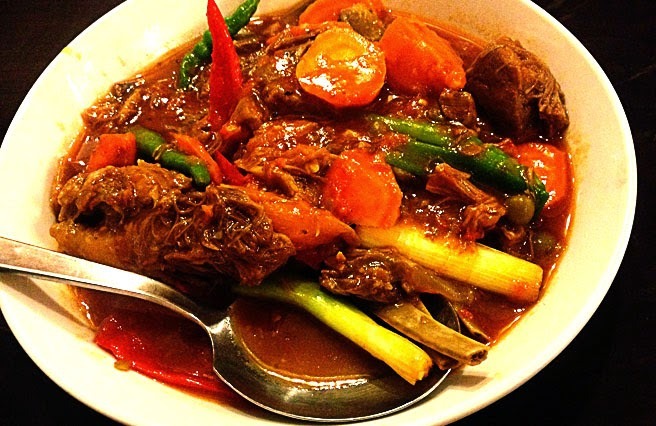 Caldereta Kanding is actually a 'Kambing' or a goat. We wanted to try out also some exotic food. And it was okay. There was no overpowering taste. Nilat-an na Baka is also the Nilagang baka in Manila. The serving for this one is actually big, I just wasn't able to picture the whole. And the taste was the same from the home cooked dish that we usually eat. 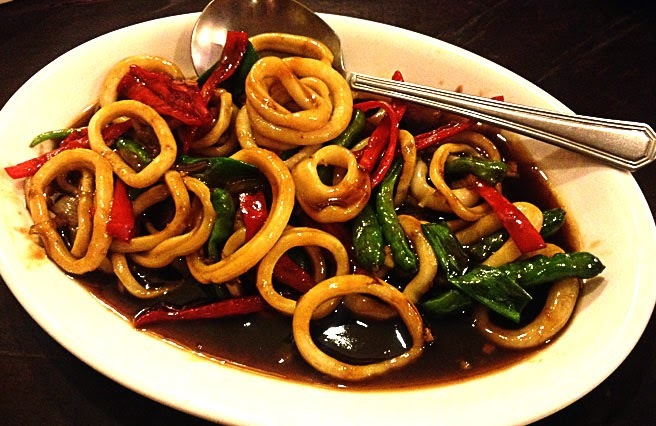 This really tastes good as the squid was soft and with the combination of oyster sauce, it added full of flavour to the dish. 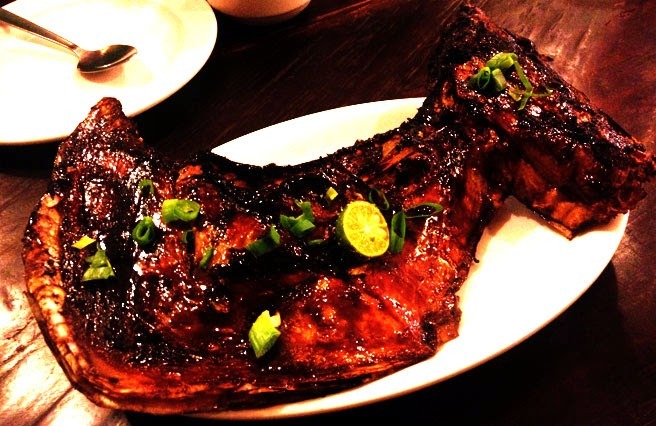 And lastly, is the Tuna Panga (jaw) which is the famous one among all the dishes. It was my first time to see or hear this kind of dish. The serving was also big given that the price is very affordable. That's why I really commend this one; it is simply delicious, fantastic and the best of all. From all the viands that we ordered plus their Plain rice platter which only costs PhP65.00 that is good for 5-6 persons already and also some refreshments like shakes and lemonade pitcher, we only spent less than PhP2000. This is really a budget friendly restaurant. So for anyone out there planning to visit Cebu and you are on a tight budget, but still want to experience the best of Cebu dishes, this is the place to dine in the City.